AUSTIN, Texas--(BUSINESS WIRE)--OutboundEngine, a leading provider of marketing automation software for small businesses, today announced the availability of its mobile app for iOS in the Apple App Store. 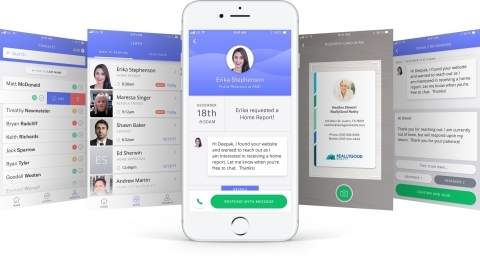 The app augments OutboundEngine’s easy-to-use software, making it simple for small business owners to easily add new contacts to their databases and to quickly follow up with clients and prospects via text or email natively in the app. Real-time notifications when a client or prospect wants to connect. Pre-built response templates that business owners can use as-is or quickly customize to engage with customers on the go. A business card scanner integrated directly into the app to swiftly capture new contact details. The mobile app is available for download on the Apple App Store and is compatible with all iOS devices. To learn more about OutboundEngine, visit www.outboundengine.com. Established in 2012, OutboundEngine is a leading provider of B2B marketing automation software that empowers small business owners with actionable marketing campaigns. Headquartered in Austin, Texas, OutboundEngine’s team of content and email marketing experts, social media gurus and data analysts enable businesses to maintain impeccable online reputations, build stronger relationships, acquire new customers and stay focused on what they do best. For more information, visit www.outboundengine.com. OutboundEngine today announced the availability of its mobile app for iOS in the Apple App Store.